Anyone who knows me would could tell you about how much I adore tomatoes. Tomato sauce, sundries tomatoes, stewed tomatoes, fresh tomatoes, they’re all good. Still, there are some tomatoes that are superior to others. I’m not just putting a plug in for organic and local food either. I’m talking about heirlooms. There’s nothing quite like biting into an heirloom tomato, still warm from the sun, fresh from your garden. 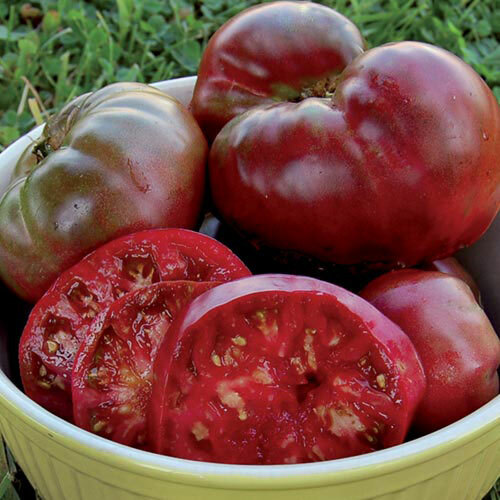 If I could pick just one tomato to grow it might have to be the Black Krim. They’re an indeterminate beefsteak tomato that was found by Lars Olov Rosenstrom in Krim, Russia. They’re not the prettiest tomatoes but they are my hands down favorite flavor. I first tasted one grown on a farm I worked for in high school and have grown them in my own garden ever since. They’re the perfect pairing of tangy and sweet and they’re oh so juicy. I love to use these for tomato, cucumber, and mayo sandwiches all summer long. They really shine when paired with other simple ingredients. I’ve never tried canning them as they always get eaten or sold fresh! Their one downside for me is that they don’t transport to the farmer’s market well. They bruise and crack under little pressure but in my mind the flavor still makes them worth it, especially for the home gardener. If you decide to put some Black Krims in your garden this year don’t forget to check out our Hearty Sandwich Bread and Whole Egg Mayo recipes. You’ll have the best sandwich, I promise. Okay so maybe this tomato isn’t exactly an heirloom as it was only found in 2003 but I firmly believe it deserves its spot on this list. The Red Zebra Tomato was found growing in Jeff Dawson’s fields in California who then listed it in the Seed Savers Yearbook. It’s another indeterminate, open pollinated variety and in my mind a variety that will definitely be an heirloom someday. Why do I think this tomato is worthy of that “historical status” Barbara Kingsolver mentioned? Well for several reasons. The first is flavor, these guys are pretty delicious. I won’t lie to you it doesn’t steal my heart quite as well as the the Black Krim but then most tomatoes don’t. The second is that it is so easy to grow. I have never had trouble with blights, blossom end rot, or splitting which have plagued some other varieties I’ve tried. The Red Zebra is also usually one of my first tomatoes to ripen. I’ve even had it beat my cherries! Lastly they’re super pretty which makes them killer for farmers markets. They tend to be fairly uniform and travel well (as far as heirlooms go). I’ve used this variety fresh as well as roasted and for sauce. Martino’s Roma are my go to paste tomato. They’re a determinant variety that ripens over the course of a couple weeks, perfect for putting up batches of sauce even if you don’t have that many plants. 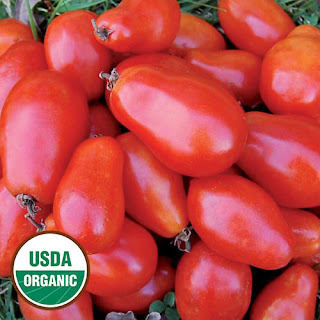 They’re an italian heirloom that is primarily used for canning especially in sauces and pastes. I also love them for roasted tomatoes. Their small size and meaty flesh makes them roast quickly and taste great. However I’ve also had customers buy them for sandwiches and salads that need to hold for several hours. 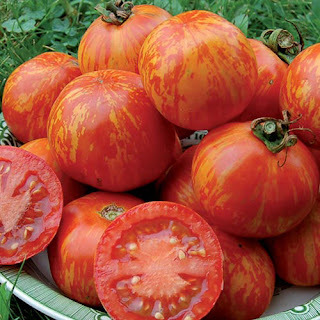 These aren’t very juicy like many beefsteaks so you can put a slices of them on a sandwich and eat it later without worrying about it getting soggy. While I choose indeterminant vairieties for my other tomatoes I love that Martino’s Roma ripens all at once. Especially when we only had one acre we couldn’t have that many plants of each variety it was super helpful to not have our paste tomatoes coming in sporadically over the course of several weeks. I was able to can most of our sauce in just two big batches. This cute tomato is an indeterminate, heirloom from East Germany who’s name translates to, “Little Blonde Girl.” They’re sweet but also a little tart, perfect for eating like candy straight from the garden. They’re great for kids or customers at the farmers market. They’re one of the best tasting cherry tomatoes I’ve ever had and they’re so happy and bright! How could you resist? “The Cherokee Purple’s flavor is unmatched but they can be a little finicky to grow. They prefer well enriched soil and an even and consistent supply of water, especially during fruiting. Can you tell we’re sandwich people? 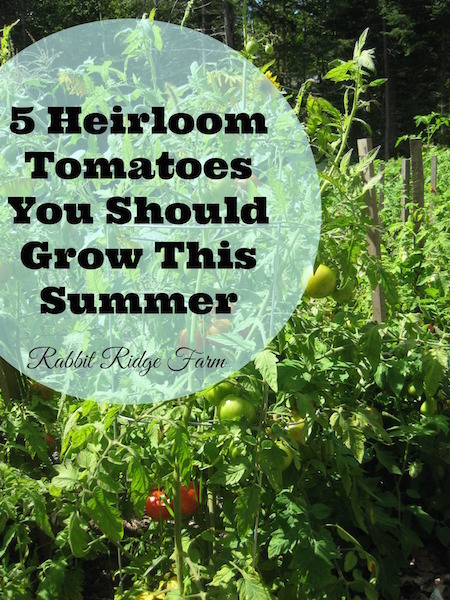 Do you grow heirlooms? 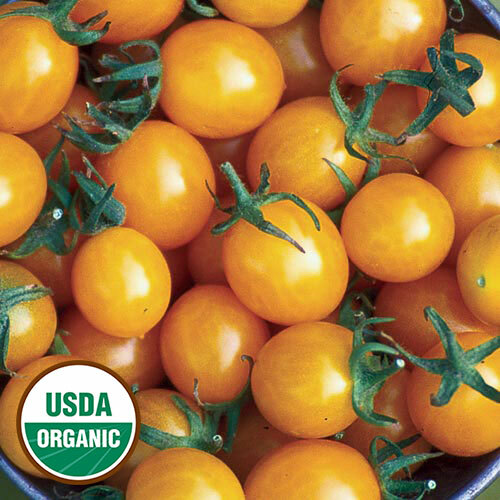 What are your favorite tomato varieties? Feel free to let us know what other tomatoes deserve a spot on this list. This post contains affiliate links. They allow this blog to make a tiny bit of money at no extra cost to you. 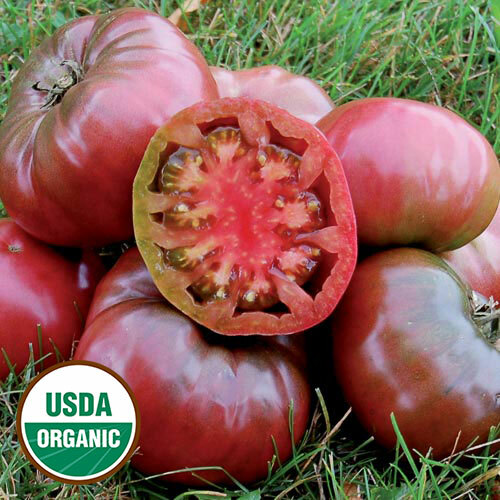 One Response to "5 Heirloom Tomatoes You Should Grow This Summer"